Moroccan Sahara went under Spanish occupation. Conclusion of the Moroccan-British Treaty “no power can lay claims to the lands that are between Oued Draâ and Cap Boujdour, because those lands belong to the territory of Morocco”. Moroccan-Spanish Agreement included the region of Sakiat El Hamra within the Southern part of Morocco. Morocco under foreign occupation (France in the Center, Spain in the North, the South, including the Sahara, and a Council of 12 foreign powers governed the international zone of Tangier). Morocco got back the Center and North parts of the Kingdom as well as the international zone of Tangier. Franco-Spanish coalition launched the Ecouvillon Operation against Moroccan National Liberation Army. Spanish decree stipulating that the Moroccan Sahara is no more administered as part of West Africa but as a province of Spain. Cintra Agreement announcing the liberation of Tarfaya. At the request of Morocco, Sahara issue is included in the agenda of the Special Committee of decolonization at the United Nations. UN General Assembly resolution 2072 requesting Spain, as administering power, to take immediate action ... and initiate negotiations for the liberation of the colonially dominated territories of Ifni and the Sahara. Fez Treaty declares the return of Ifni to the mother-land. Treaty of Solidarity and Good Neighbourliness signed between the late King Hassan II and Mauritanian President Mokhtar Ould Daddah. Algerian President supports Morocco’s territorial claims (7th Arab Summit). UN General Assembly resolution 3292 requesting an Advisory Opinion from the International Court of Justice, in The Hague, on the legal status of the territory on the eve of the Spanish colonization and particularly its legal ties with Morocco and Mauritania. ICJ Advisory Opinion on the Sahara: Sahara (Rio de Oro and Sakiat El Hamra) was not, at the time of colonization by Spain, a land belonging to no one (Terra nullius). There were ties of allegiance between the Sultan of Morocco and the tribes of Sahara. UN Security Council resolution 377 recalling that parties “could enter into negotiations to peacefully resolve the dispute on the basis of Article 33 of the UN Charter”. Organisation of the “Green March”. Signature of Madrid Agreement between Morocco, Spain and Mauritania. General Assembly takes note of the provisions of the Madrid Agreement (resolution 3458 / B). Opinion of Jemaâ approving the Sahara decolonization and reintegration in Morocco and Mauritania. Proclamation of the pseudo “sadr”. Recuperation of the Province of Oued Addahab. Acceptance by Morocco, in Nairobi, of the organization of a referendum in the Sahara. “sadr” is admitted in the OAU. Withdrawal of Morocco from the OAU. Opinion of the Office of Legal Affairs of the ECOSOC in response to Morocco’s question on the pre-eminence of procedural rules in case of a joint meeting between the UN and a regional intergovernmental organization: “In the case of a joint meeting between the ECA and a regional intergovernmental organization, the ECA, as a subsidiary organ of the UN, must comply with the decisions of the bodies to which it belongs, namely the General Assembly and ECOSOC”. Acceptance by the parties of the propositions of the UN General Secretary, adopted by the SC in the resolution 621 (cease-fire, Settlement plan). SG Report S/21360 suggesting the Settlement Plan. UN Security Council resolution 690 decides to constitute, under its authority, a United Nations Mission for the Organization of a Referendum in the Sahara (MINURSO) whose mandate includes monitoring the cease-fire and organizing the referendum. Letter from His Majesty King Hassan II to UN SG asking to take “urgent measures so as things get back to their initial situation, including the removal from the territory of these armed gangs”. SG Report suggesting the five criteria of identification. Counting process of the people entitled to vote. Suspension of the identification process. Nomination of James Baker as Personal Envoy of the UN General Secretary to Sahara. Completion of the identification process. 147,000 people have been identified. The problem of Sahraouis living abroad, as well as members of groups H41 (Ait-Oussa), H61 (Azouafit), J51 (Ait-Oussa, Ait-Boumeggout) and J52 (Inzouen) disputed by the “polisario” remained pending. SG Report (S/2000/131) in which M. Annan explicitly questioned the applicability of the Settlement Plan. London talks under the auspices of M. James Baker. Adoption by the SC of the resolution 1301 extending the mandate of MINURSO to July 31, 2000 and asking the parties to submit to Mr. Baker concrete proposals to overcome the obstacles standing before the Settlement Plan. Letter of the “polisario” to the SG rejecting also the Framework Agreement. SC resolution 1359 extending the mandate of the MINURSO till November 30, 2001. Furthermore, the SC encouraged the parties “to discuss the Framework Agreement and to negotiate any changes they would like to include”. Algeria presented, in Houston, a project of partition of the territory. His Majesty the King visits the Sahara. “polisario” imposes restrictions to the MINURSO’s moves. SG Report (S/2002/178) containing the 4 options proposed by the SG so as to resolve the problem (application of the Settlement Plan without the consent of the parties, revision of the Framework Agreement on a non-negotiable basis, partition of the territory, definitive withdrawal of the MINURSO). Resolution 1463, extending the mandate of the MINURSO, so as to give the parties time to consider the SG Personal Envoy’s proposal. Algeria’s letter to the Secretary General. “Algeria supports this plan”. “polisario” ’s letter supporting the Peace Plan. Morocco’s letter to the SG’s Personal Envoy. Morocco “sticks to the political solution, always presented as a compromise consisting of autonomy within the framework of Moroccan sovereignty”. SG report (S/2003/565) suggesting a “peace plan for the self-determination of the population of Sahara”. This plan incorporates the idea of autonomy but it limits it to five years, after which “we will be talking of a referendum, the same as that provided by the settlement plan”. SC resolution 1429 “after the review of the 4 proposals contained in the SG’s report (S/2002/178) and because of the persistence of differences between the two parties, the SC invites the SG to continue his efforts to reach a just and lasting political solution”. Resolution 1495 in which the Security Council “supports the peace plan, as an optimal solution agreed upon by the parties”. The Kingdom’s response saying that “if the political solution consists in autonomy, then it could not accept that independence would be an option right after the transition period”. Resolution 1541 endorsing the search for a political solution acceptable by both parties, and extending the mandate of MINURSO to a period of six months till October 31, 2004. Algerian President’s letter to the so-called Mohammed Abdelaziz “Algeria supports that case…so as to help Sahraoui population as well as all peoples to get back their freedom and independence”. Resignation of the SG’s Personal Envoy M. James Baker. Algerian President’s letter to the UN SG about “the conflict involving the sahraoui people and the occupying power, i.e., Morocco”. “In this matter, Algeria is only acting as a member of the UN”. A clarification memorandum sent by Morocco to the UN, explaining the involvement of Algeria in the conflict. Adoption by the SC of the Resolution 1570, confirming the judgment of the SG on the current impasse and extending the mandate of MINURSO to 6 months, till April 30, 2005. SC Resolution 1598 extending the mandate of MINURSO to October 31, 2005 and requesting again “the parties and States of the region to fully cooperate with the United Nations to end the current impasse and progress towards a political solution”. Letter from Morocco to SC (attached to the report S/2005/602) stating that “the record of serious violations of the rights of Moroccan detainees in Algerian territory remains open, including the many people who have succumbed to inhuman and degrading treatment by their torturers”. The letter also called on the international community regarding the need to conduct a census of the populations of Tindouf camps. Visit of Peter Van Walsum to Morocco. He was received by His Majesty the King Mohamed VI. His Majesty the King’s speech “We have decided that political parties shall be consulted. The goal is to find out, in practical terms, about their perception of autonomy within the framework of the Kingdom’s sovereignty, ahead of preparing and presenting the Moroccan proposal in this respect”. · - Need for Algeria’s involvement in the negotiations. The Minister’s letter to the UN SG shading light on the other parties’ activities in the eastern side of the Wall. “The Kingdom of Morocco considers that all these activities are completely illegal, for those who perform them have no authority to do so”. Abdelaziz sent a letter to the President of the Security Council about the status of the buffer zone “there was and there is always a liberated zone of the Sahara’s territory” and about the autonomy project seen as “a headlong rush”. It is the Ambassador of Namibia who transmitted this letter to the SC. Floods in the Tindouf camps. According to an HCR communiqué, 50 000 refugees (in Awserd camps) were homeless. M. V. Walsum’s visit to some capital cities related with this matter. The Algerian President’s letter to UN Secretary General. It is “a conflict between Morocco and the sahraoui population”. Verbal note from the Permanent Mission of the Kingdom to the SG attracting again his attention to “the seriousness of the actions of other parties in the buffer zone”. Morocco considers any activity in this area illegal and a sign of “provocation”. Morocco requested the SG to “take steps ... and prevent ...” events that the “polisario” had the intention to organize on February 28, 2006. The Algerian President’s letter, in the occasion of 30th anniversary of the so-called “sadr”, to the mercenary Abdelaziz, delivered by the Minister of Mujahideen, Mohamed Cherif Abbas, and the Minister in charge of the Maghreb Affairs, Abdelkader Messahel, expressing the support of Algeria to the principle of self-determination of the “sahraoui population”. The European Parliament confirms the legality of the Fisheries Agreement signed between Morocco and the EU. The legal department questioned by the EP Development Committee at the request of Britain, Sweden and Denmark concluded that the agreement “is not against international law”. “polisario”’s letter to the Security Council concerning the Royal visit to the southern provinces. “This visit constitutes a unilateral decision of an utmost gravity”. “The autonomy proposition is totally rejected by the “polisario” front and can, in no way, be considered as an alternative to the international legality, to the settlement plan or to Baker plan”. Signature by the “polisario” of 8 “contracts” with British companies for oil prospecting on shore and off shore. His Majesty the King’s visit to the southern provinces. Setting up of the CORCAS. His Majesty the King’s letter to the Secretary General reiterating Morocco's commitment to a political solution and informing him about the process of national and local consultations in preparation for the submission by the Kingdom of an autonomy project within the framework of the territorial integrity and the national unity of the Kingdom of Morocco. Letter of the Permanent Representative of the Kingdom to the Secretary General about the situation in the camps of Tindouf. Letter from Van Walsum to the parties: “the search for a consensual solution does not indicate a lack of respect for international law because international law is broader than the resolution 1514”. “A negotiated political solution is the only alternative to the indefinite prolongation of the impasse”. “The option of negotiations will sooner or later be considered”. “Negotiations without preconditions do not mean negotiations without principles”. The Secretary General’s letter to the members of the Security Council “I would like to suggest that members of the Security Council use the next four months to prepare for a more substantial resolution on the situation in Sahara”. Visit of M. Van Walsum to the region: Morocco (September 6 - 8) and Mauritania (September 9). During its last meeting at the Havana Summit, and for the first time since 1991, the Non-Aligned Movement neglected any reference to the Settlement plan or the Peace plan (Baker II) as a solution to the Sahara issue, and the adoption of a new text within the context of the new dynamics advocated by the international community. In a letter to the OHCHR, Morocco denounced the inherently biased content of the report of the OHCHR Mission in the Moroccan Sahara and Tindouf as well as its fundamentally political recommendations in phase with the total course of the mission. The vote on the Algerian draft in the 4th Commission received only 76 voices for, 72 abstentions and 44 absences. The project makes the General Assembly in phase with the Security Council on this issue. The Secretary General recommended to the Security Council, in its periodic report (S/2006/817), to call Morocco and “polisario” to negotiate without preconditions in order to reach a mutually acceptable political solution. Algeria and Mauritania shall be invited to these negotiations and shall be consulted separately on issues that directly affect them in the format that was followed by Baker. SG will submit other proposals on the format of negotiations, the role of the UN and other modalities. The Security Council, unanimously, adopted resolution 1720 which, while extending the mandate of MINURSO, renewed its call “to the parties and States of the region to continue to fully cooperate with the United Nations so as to end the current impasse and move towards a political solution”. On the occasion of the 31st anniversary of the glorious Green March, His Majesty King Mohammed VI said: “We are already at an advanced stage in the consultation process undertaken at the national and local levels. In this regard, we welcome the new high sense of duty and high receptivity shown by political parties and their constructive suggestions to our Majesty. 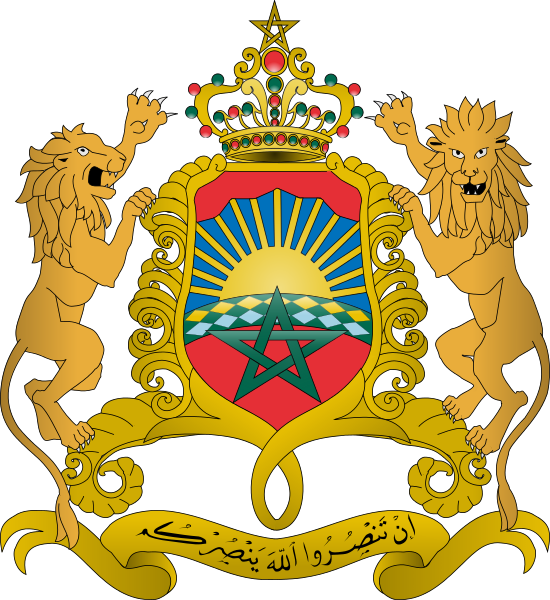 We would also like to pay tribute to the sincere and highly patriotic efforts of the Royal Advisory Council for Saharan Affairs -CORCAS- President and members, both for defending the Moroccan Sahara and for preparing a project on how it sees autonomy so as to submit it to our Majesty in the coming weeks. Thus, we will be completing the undertaken consultations with the broadest popular base possible, both locally and nationally, to develop the final version of Morocco’s proposal. This proposal translates the three basic orientations of our domestic and foreign policy. CORCAS examined all the aspects linked to the autonomy project (institutional structures, skills, resources ..) and stressed the need for a project in line with the characteristics of the region and consistent with international norms and standards. It also reiterated that this option, fully assumed by the Kingdom, corresponds to the aspirations of the people of the region and meets the expectations of the international community. The Council’s reflection has been fed by visits to culturally and geographically close countries whose experiences in the field of autonomy have been put to use. The results of this reflection, democratically and unanimously approved by the members of the Council, were submitted to the very high attention of His Majesty the King. The UN General Assembly voted for the Algerian resolution project on the Sahara: 70 for, 91 abstentions et 31 absences. Beginning of the international campaign of information about the status of the Moroccan project of autonomy for the southern provinces of the Kingdom. Almost 40 countries visited. Letter from Morocco to the UN Secretary General on the issue of human rights’ violations in the camps of Tindouf, and on Algeria’s responsibility concerning the violations occurring on its territory. “polisario” submitted to the UN Secretary General a “proposition for political solution mutually accepted that foresees the Sahara’s self determination”. The Kingdom’s Permanent Representative submitted a letter on “Moroccan Initiative for Negotiating an Autonomy Statute for the Sahara Region”. The Secretary General mentioned in his periodic report (S/2007/202) that he received the “Moroccan Initiative for Negotiating an Autonomy Statute for the Sahara Region”. The SG recommends that the Security Council asks the parties, Morocco and “polisario”, to initiate negotiations without preconditions. Neighbouring countries, Algeria and Mauritania, should be invited to these negotiations and consulted separately on issues that directly concern them in the format that was applied during James Baker’s term. The UN SG’s Personal Envoy for the Sahara, Peter Van Walsum, declared, just after consultations with members of the Security Council on Sahara, his limitless faith towards direct negotiations. And that “the parties are closer to political reality and more likely to inspire necessary political will and creativity to this process”. Moreover, Walsum said, “I believe that self-determination does not necessarily mean independence”. Almost 170 members of the U.S. House of Representatives sent a letter to U.S. President George W. Bush, asking him to support the autonomy proposal presented by Morocco, calling it a “promising”, “historic” and “innovative”. This initiative, they say, “provides a realistic framework for a negotiated political solution” to the Sahara conflict. The Security Council unanimously adopted resolution 1754 which, while taking note of the Moroccan Initiative for Negotiating an Autonomy Statute for the Sahara Region, welcomed the serious and credible efforts made by Morocco to move forward toward resolving this issue. Similarly, the resolution “calls on the parties to engage in good faith negotiations without preconditions, taking into account the last months’ developments in order to achieve a political, just, lasting and mutually acceptable solution”. The tour that the SG’s Personal Envoy intended to do in the area, in mid-May, was cancelled so as to prepare modalities of negotiations, because of “polisario”’s blackmail (meeting with Abdelaziz in Tifariti) and the absence of an appointment in Algiers. The 1st round of negotiations was held in Manhasset (New York), under the auspices of the UN SG’s Personal Envoy. Cape Verde froze its recognition of the so-called “sadr”. His Majesty King Mohammed VI Speech on the occasion of the 8th anniversary of his accession to the throne: “Our territorial integrity is experiencing a turning point generated by the Moroccan Initiative for Negotiating an Autonomy Statute applicable to our southern provinces, under the Kingdom's sovereignty, national unity and territorial integrity”. The support of influential powers within the international community, of brotherly and friendly countries, “helped the Moroccan Initiative to predominate and be included in the international agenda, as a modern type of determination, fully compliant, both in substance and form, with the international law”. The 2nd round of negotiations in Manhasset (New York), under the auspices of the UN SG’s Personal Envoy. Adoption of resolution 1783 by the Security Council which, taking note of the Moroccan Initiative for Negotiating an Autonomy Statute for the Sahara Region, welcomed, for the second time, “Morocco’s serious and credible efforts to move forward towards resolving” the issue. Similarly, the resolution calls “the parties to continue negotiations under the auspices of the Secretary General without preconditions and in good faith, taking into account the efforts made since 2006 and the developments in recent months in order to reach a political, just, lasting and mutually acceptable solution”. The autonomy proposal “reflects three basic directions of our domestic and foreign policy. At the national level, (...) resolutely goes forward to consolidate our democratic structure through an advanced regionalization representing the backbone of the modern state (...). At the international level, Morocco reaffirms, through this approach, its willingness to continue to faithfully honor its commitment to a fair and open cooperation with the United Nations, its Secretary-General and his Personal Envoy, to help find a consensual political solution, collecting the serious membership of all parties involved effectively in the conflict”. The 3rd round of negotiations in Manhasset (New York), under the auspices of the UN SG’s Personal Envoy. Seychelles withdrew its recognition of the so-called “sadr”. The 4th round of negotiations in Manhasset (New York), under the auspices of the UN SG’s Personal Envoy. The report of the UN Secretary General (S/2008/251) on the Sahara called to find a solution to the political impasse on the basis of realism and compromise. The UN Secretary General’s Personal Envoy, Peter van Walsum, said that the independence of Sahara is, in his view, “not an achievable goal”. Paraguay froze its recognition of the so-called “sadr”. Adoption of resolution 1813 (2008) by the Security Council which, taking note of the Moroccan proposal for negotiating an autonomy statute for the Sahara region, welcomed the “serious and credible efforts made ​​by Morocco to move the process forward towards resolving” the issue. Resolution 1813 (2008) calls on the parties to show “realism and a spirit of compromise”. It also calls on “the parties to continue negotiations under the auspices of the Secretary General without preconditions and in good faith, taking into account the efforts made since 2006 and the developments in recent months in order to reach a political, just, lasting and mutually acceptable solution”. U.S. Ambassador Alejandro Wolff said “we share Van Walsum’s view concerning the fact that independent sahraoui state is not a realistic option for resolving the conflict and that genuine autonomy under the sovereignty of Morocco is the only feasible solution. We believe that the next rounds of negotiations should focus on the design of an autonomous regime mutually acceptable and consistent with the aspirations of the people”. The former head of the United Nations mission in Sahara (MINURSO), Erik Jensen, expressed his support for the views of the UN SG’s Personal Envoy, M. Peter Van Walsum, that “Sahara's independence is not a realistic option”. Malawi withdrew its recognition of the so-called “sadr”. Vanuatu withdrew its recognition of the so-called “sadr”. The General Assembly resolution (63/105) supports the negotiations process initiated by resolution 1754 (2007) and encourages the parties to cooperate with the International Committee of the Red Cross and to fulfil their obligations. Appointment of Christpher ROSS as Personal Envoy of Ban Ki-Moon in the Sahara. Christopher Ross began his first visit to the region to contact the parties, know their positions on the next phase of negotiations and examine the conditions of the organizations of a 5th round of negotiations. Morocco has reiterated to the Personal Envoy its commitment to implement the provisions of the Security Council resolution 1813, in continuity with the work done by Peter Van Walsum, as well as its commitment to enter into negotiations on the basis of the Moroccan project of autonomy. The Moroccan Minister of Foreign Affairs and Cooperation sent a letter to the President of the Security Council on “polisario” ‘s violations of the cease-fire. The UN Secretary General’s report (S/2009/200) on Sahara reaffirms the importance of the Security Council’s resolution 1813 as well as the need for parties to engage in negotiations, as holding one or more preparatory meetings for the next round of negotiations. During the Ministerial Meeting of its Coordinating Bureau held in Havana, Non-Aligned Movement supported the relevant resolutions of the Security Council on the Sahara as well as the UN General Assembly resolution 62/116. It reaffirmed its full support for the efforts of the Personal Envoy of the UN Secretary General for the establishment of a mutually acceptable political solution, and welcomed the holding of four round of negotiations under the auspices of the UN Secretary General and the commitment of the parties in negotiations to implement the provisions of the Security Council’s resolutions 1754, 1783 and 1813. The Movement recorded the efforts and developments since 2006 and has called upon the parties and States of the region to cooperate with the UN Secretary General. The Security Council unanimously adopted resolution 1871, strengthening the support of the Council to resolution 1813 (2008), to find a mutually acceptable political solution to the dispute over the Sahara. This resolution calls for the continuity of the efforts of the Secretary General and his Personal Envoy, refusing any regress in positions and welcoming the developments since April 2007. During the 2nd visit of Christopher Ross to the region, Morocco reaffirmed its full engagement to facilitate the mission of the UN SG’s Personal Envoy, hoping that the other parties participate positively in the preparation of the 5th round of negotiations. Non-Aligned Movement supported, during Sharm El Sheikh Summit, the relevant resolutions of the Security Council on the Sahara as well as the UN General Assembly resolution 62/116. It reaffirmed its full support for the efforts of the Personal Envoy of the UN Secretary General for the establishment of a mutually acceptable political solution, and welcomed the holding of four round of negotiations under the auspices of the UN Secretary General and the commitment of the parties in negotiations, to implement the provisions of the Security Council resolutions 1754, 1783 and 1813. The 1st round of informal talks on the Sahara between Morocco and “polisario”, organized by Christopher Ross, Personal Envoy of Ban Ki-Moon, were held in Dürnstein, Austria. During these talks, Morocco has reintroduced the content and philosophy of the Moroccan Initiative, as a credible solution to the dispute over Sahara. Hany Abdel-Aziz appointed by the UN Secretary General as his Personal representative for the Sahara and head of the MINURSO. On the occasion of the 34th anniversary of the Green March, His Majesty the King said: “Responsible, we affirm that there is no room for ambiguity and duplicity: either the citizen is Moroccan, or he is not. Gone are the days of double play and escape. It is time for clarity and duty assumed. Either one is patriot or traitor. There is no middle ground between patriotism and treason. One can not have both: enjoy the rights of citizenship, and deny them while conspiring with the enemies of our country”. With the same commitment to international law, We assure to UN organization, once again, the full and constant commitment of Morocco to engage in serious negotiations and to facilitate the mission of the Personal Envoy of the UN Secretary General so as he can continue his predecessor's efforts to find a consensual political, realistic and definitive solution, based on the proposal of autonomy within the framework on the Kingdom's sovereignty, its national unity and territorial integrity. Aminatou Haidar was taken back to the Canary Islands via Laayoune airport because of her refusal to complete the police formalities at the airport, and her violation of the laws concerning the entry into Moroccan territory. Morocco has described the actions of Haidar as undermining the territorial integrity of the country. The Permanent Representative of Morocco to the United Nations sent a letter to the UN Secretary General's Personal Envoy in response to allegations of human rights. The General Assembly adopted resolution 64/101, supporting the ongoing process and reaffirming the responsibilities of the parties and States of the region to cooperate with the General Secretary to find a political solution mutually acceptable. This resolution reaffirms that negotiations are the only way to find a political solution mutually acceptable and excludes referendum as a means that guarantees the right to self-determination, as do the resolutions 62/116 (2007) and 63/105(2008). Based on the requirement of full respect to Moroccan law, fully applying to the whole of Moroccan territory, including southern provinces, and strictly under humanitarian dimension of the case Aminatu Haidar, the Kingdom of Morocco accepted to the request that Haidar gets back to the Kingdom of Morocco. In this respect, Morocco highlighted to its partners that the actions of Aminatu Haidar are not related to the promotion of human rights, but rather they are done on behalf of “polisario”. While the President of the Spanish Council “found that Moroccan laws apply to the southern provinces of the Kingdom”, both Italian Foreign Affairs Minister and U.S. Secretary of State praised Morocco's decision to allow the return of Aminatu Haidar for humanitarian reasons. With regard to the case of Aminatu Haidar, Moroccan Minister of Foreign Affairs and Cooperation stressed that priority should be given to political negotiation as requested by the Security Council’s resolutions, taking into account Morocco’s efforts since 2006. On the other hand, Moroccan laws apply fully and in all legitimacy to the entire territory, including southern provinces. Thus, Aminatu Haidar has been manipulated by the other parties of the dispute to serve a political agenda set by the enemies of Morocco’s territorial integrity. The Minister highlighted the efforts of the leaders of Moroccan political parties to bring to light, at an international level, the activist nature of Aminatu Haidar and her direct relation with other parties, especially Algeria, unlike what she claims by hiding behind the image of a human rights’ militant. In His Speech on the occasion of launching the Advisory Council on Regionalization, His Majesty the King “asked the Committee to prepare a general conception for an advanced Moroccan regionalization model, covering all regions of the kingdom, and to submit it to Our High Appreciation by the end of next June. We aim, among other major objectives, at placing our recovered southern provinces among the first beneficiaries of the advanced regionalization. 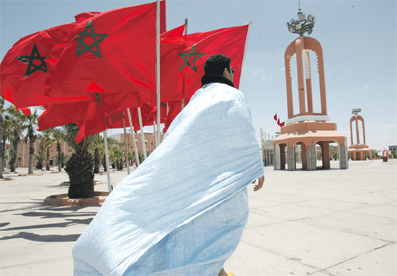 Morocco, in fact, can not be confined in the status quo, while the enemies of our territorial integrity strive to hinder the UN process aiming at finding a political, mutually acceptable and realistic solution to the artificial dispute over these provinces, a solution based on our autonomy initiative dedicated to the Moroccan Sahara. Moroccan Minister of Foreign Affairs and Cooperation sent a letter to the UN Secretary General about the case Aminatu Haidar and the threats to the political process. Moroccan Minister of Foreign Affairs and Cooperation sent a letter to the UN Secretary General as a response to allegations of violations of the cease-fire and the security system. During the 2nd round of informal talks on the Sahara in Armonk (New York), Morocco stressed that the Moroccan initiative of autonomy is fully compliant with international law and Security Council resolutions. Morocco has demonstrated the obsolescence of the proposal of the other parts, as well as the biased interpretation of the principle of self-determination and the inapplicability of a referendum with extreme outcomes. The Minister of Foreign Affairs sent a letter to the UN Secretary General on the checklist of the national issue. During Christopher Ross’s 3rd visit to the region, Morocco reaffirmed its full commitment to find a political solution mutually acceptable and to engage in negotiations on the basis of the Moroccan Initiative of autonomy. Guinea Bissau withdrew its recognition of the so-called “sadr”. In his report (S/2010/175), UN Secretary General reaffirmed the necessity for other parties to engage into credible et reliable discussions. The Report also reported a scathing refutation of the allegations of human rights’ violations in the southern provinces of the Kingdom. The report highlights the importance of conducting a census of refugees in Tindouf camps and the implementation of individual program interview. The Security Council adopted resolution 1920 in which it welcomed the new serious and credible efforts made by Morocco and emphasizes the primacy of the Moroccan autonomy initiative; calling on the parties to enter into a phase of intense and substantial negotiations on the basis of realism and compromise. This resolution calls upon the parties and States of the region to fully cooperate with the UN to achieve a mutually acceptable political solution. Dominica withdrew its recognition of the so-called “sadr”. Selma Ould Sidi Mouloud, former Inspector General of Police of the “polisario” declared his support for the Moroccan autonomy project as the unique credible solution to the dispute over Sahara. Antigua and Barbuda, Grenada, St. Lucia and St. Kitts and Nevis withdrew their recognition of the so-called “sadr”. The Minister of Foreign Affairs sent a letter to the UN Secretary General on human rights. The Ambassador, Permanent Representative of Kingdom of Morocco to the UN sent a letter to the UN SG’s Personal Envoy on confidence building measures. The Minister of Foreign Affairs sent a letter to the UN Secretary General on the latest developments of the national issue. The Minister of Foreign Affairs sent a letter to the UN HCR on confidence building measures. Selma Ould Sidi Mouloud got kidnapped of at the entry of Tindouf camps, immediately after his support to the Moroccan Initiative of autonomy. Adoption of resolution A/65/L.5 by the General Assembly’s 4th Commission calling all the parties to intensify the negotiations to achieve a political solution, negotiated and mutually acceptable. Setting up of Gdim Izik camps in the region of Laâyoune. During Christopher Ross’s 4th visit to the region, Morocco reaffirmed its full commitment to find a political solution mutually acceptable, and engage in negotiations on the basis of the Moroccan Initiative of Autonomy. Burundi withdrew its recognition of the so-called “sadr”. His Majesty the King declared, in His Speech on the 35th anniversary of the Green March: “breaking with the approaches that the UN confirmed their inapplicability, the Autonomy Initiative has, in fact, initiated a positive and realistic process of UN negotiations”. It is, thus, up to the international community to identify clearly and unambiguously the obstacles blocking the negotiation process. On the other hand, the opponents of Morocco who persist in inaction, intransigence and division, instead of preferring the dynamics, dialogue and harmony. We confirm in this regard that We will never abandon our faithful subjects neither in the Tindouf camps nor anywhere else. We will spare no effort so as they can exercise their fundamental rights, including the right to freedom of expression, movement and return to their homeland. Morocco, sovereign over its entire territory and assuming clearly and unambiguously its international legal responsibilities, criticizes the peddling false accusations on the existence of areas allegedly “under control” at the east of the security system, and of which everyone knows the peaceful and wise purposes governing it. During the 3rd round of informal talks on the Sahara in Manhasset (New York), Morocco stressed the need to give new impetus and qualitative momentum to the negotiations, through a new methodology to break the current impasse. Morocco made a proposal to the UN SG’s Personal Envoy in this regard. Morocco has reiterated its readiness to participate in negotiations on the basis of the Moroccan Initiative of Autonomy, welcomed by the international community and regarded as serious and credible. Morocco noted that since the proposal of the Moroccan Initiative of Autonomy, the other parties use some “fake” incidents and situations just to escape their responsibility and hinder the negotiation process. Organization of the dismantling of Gdim Izik camps. Joint briefing to the Security Council DPKO and Personal Envoy on Sahara. The European Parliament adopted a resolution on Sahara, in which it “condemns the violent incidents” that occurred during the dismantling of the Gdim Izik camps in the city of Laayoune. Presentation by the Minister of Foreign Affairs and Cooperation of Morocco, before the European Parliament, of the events that actually occurred during the dismantling of the Gdim Izik camps. The Minister of Foreign Affairs and Cooperation said that the dismantling of the camp was done in a peaceful way, that the dead people belong to the Moroccan police and that there were no deaths among civilians, contrary to the allegations of genocide and ethnic purification. Selma Ould Sidi Mould has been handed to the High Commissioner for Refugees in Mauritania. Adoption by the General Assembly, by consensus, of the draft resolution on the Sahara A/C.4/65/L.5, which was submitted by the 4th Committee and in which it calls on all parties to intensify negotiations to achieve a political negotiated and mutually acceptable solution. During the 4th round of informal talks on the Sahara in Manhasset (New York), Morocco presented a series of initiatives and proposals to give a chance to the negotiations process and a new dynamic impulse according to innovative approaches. These proposals tend to explore different aspects of the case, namely the actual condition of the region’s natural resources and the issue of the representativeness of the population of southern provinces. Morocco asked that the tours of the UN SG Personal Envoy don’t be limited to prepare the negotiation rounds but also to be enrolled in a dynamic aiming at listening to those who, in the region, can help facilitate the process. Morocco reiterated its full willingness to find a mutually acceptable political solution on the basis of the Moroccan initiative of autonomy and recalled Van Walsum’s conclusion on the unfeasible and unrealistic characteristics of the independence as a solution to the dispute. Morocco presented also compelling evidence to refute the maintained propaganda when the Gdeim Izik camp was dismantled. The Permanent Representative of Morocco to the UN sent a letter to the UN SG Personal Envoy on violations of the cease-fire. Dismantling of a terrorist network, a member of the AQIM group, and an arsenal of weapons in the region Amghala (Khang Zriba area). Al Qaeda assigned this terrorist group to create a rear base in Morocco and perform terrorist acts in the Kingdom using the weapons found. During his visit to Morocco, the Foreign Minister of Egypt reiterated the support of Egypt to the Moroccan autonomy plan in the southern provinces, to which the chance should be given through negotiations. He said that this plan can be a basis for resolving the conflict over the Sahara through negotiations provided that one has good faith. Resumption of the programs of visits exchange by air within the context of the program of confidence measures. During the 5th round of informal talks on the Sahara, Morocco presented several concrete ideas to accelerate the pace of negotiations on the Sahara and reaffirmed its willingness to find a political solution to the regional dispute on the basis of its autonomy plan. These ideas concern the negotiations process but not the political solution. The Moroccan delegation discussed the idea of diversifying the mission of the UN SG Personal Envoy for the Sahara to broaden participation in the negotiations, namely to representatives of the people of the Saharan provinces and examine the actual state of natural resources in the region and the positive way in which they are used for the benefit of local populations. The Minister of State to the President of Guinea-Bissau, in charge of African and Middle-Eastern affairs and cooperation, M. Umar Embalo, confirmed the constant position and the full support of his country to the territorial integrity of the Kingdom of Morocco. During his visit to Morocco, US Under Secretary of State for Political Affairs, M. William Burns, said that the United States are convinced and will always agree that the Moroccan initiative is serious and credible. In this sense, he noted that his country would continue its support to the efforts of the United Nations Secretary General and his Personal Envoy to find a solution to the Sahara issue, peaceful, consensual and accepted by the parties. In his historical speech, His Majesty the King said that “the ultimate goal is to strengthen the foundations of the Moroccan regionalization across the Kingdom, with, at the top, provinces of the Moroccan Sahara, a regionalization based on good governance that ensures a new equitable division, not only of powers, but also of means between the center and the regions”. “The establishment of the National Council for Human Rights (CNDH) is a more advanced step than what existed before, given the prerogatives in its governing Dahir”. “The new prerogative of the Council is that it can oppose itself to any infringement of Human Rights”. All files are opened because Morocco already made progress in the field of human rights, but it was somehow relative and limited in the early 90s. The CNDH Secretary General, M. Mohamed Sebbar, said that among the prerogatives of the new body “the right to visit prisons and to ensure that prisoners live in good conditions”. During the 6th round of informal talks on the Sahara in Malta, the Minister of Foreign Affairs and Cooperation expressed “the extreme disappointment of Morocco and its wonder as to why “polisario” withdrew the examination of human rights issue, that it introduced, itself, during the previous round”. "We said, here in Malta, we were ready to discuss all aspects of this issue so as to relativize them. Unfortunately, we note with regret that the delegation of “polisario” refused to discuss this issue with the Moroccan delegation, though it is its own initiative”. During these talks, the Moroccan delegation in Malta responded positively to the approach desired by Mr. Ross to explore new paths and discuss additional issues, namely the status of natural resources in the provinces of Sakiat El Hamra and Oued Ed-Dahab. In this regard, the Minister noted that this wealth, both in the field of fisheries and phosphates, were modest and were implemented through the action of the State, the private investment and the national solidarity in favor of the population of southern provinces. The UN Secretary General qualified the 6th round of negotiations as a “step forward” in this process. The Chilean Minister of Foreign Affairs, M. Alfredo Moreno Charme, stated that "according to international law, recognition of any state depends on the condition to meet the constituent elements of the state entity, such as effective control over a territory and its population, as well as the existence of an independent government, which conditions are absent in the case of “sadr”. For these reasons, “sadr” is not part of the UN and what is more is that this international organization considers Sahara in the decolonization process, so it is inappropriate to formally recognize it”. At the joint press conference with Secretary of State Hillary Clinton, the Minister of Foreign Affairs and Cooperation stressed the importance of resolving the Sahara issue to establish a Maghrebi unity, which is necessary for the safety of the people and the region. The Minister also emphasized the credibility and realism of the Moroccan proposal, which allowed the initiation of a new round of negotiations in 2007. The Minister highlighted the importance of the Maghrebi unity in facing the threat of Al-Qaida in the Islamic Maghreb, which threatens to cease every opportunity to expand its network in the region. Zambia withdrew its recognition of the so-called “sadr”. Papua New Guinea withdrew its recognition of the so-called “sadr”. During his meeting with the Moroccan Minister of Foreign Affairs of Morocco, M. Taib Fassi Fihri, M. Alain Juppé renewed the support of France to the process of negotiations between the parties under the auspices of the UN SG’s Personal Envoy for the Sahara. He described the Autonomy plan proposed by Morocco as a serious and credible basis for negotiations of a final settlement of the Sahara issue. M. Juppé also welcomed the courageous and even visionary speech of His Majesty the King on institutional reforms and welcomed the ambitious measures taken for the protection of human rights in Morocco. Following the 7th round of informal talks on the Sahara, the SC welcomed the mechanisms put in place by the Kingdom, namely the National Council for Human Rights with its antenna and its local component as well as the institution of interministerial delegate on human rights. The SC member states are convinced, more than ever before, of the fact that the Maghreb region can no longer tolerate the lack of resolution of this conflict, because of the threat of the Al-Qaeda terrorist group in the region, as well as the terrorist acts performed in neighbouring countries. During the 8th round of informal talks, held in Manhasset, July 19-21, 2011, Morocco highlighted the accuracy of the United Nations’ innovative approach that can help evolve the current situation through a full involvement of the population legitimate representatives. Morocco disclosed the status quo installed by the other parties and reiterates its call to the international community and to Algeria, as a country host of the refugees, to apply the international humanitarian law, in particular the organization and the registration of the population living in the Tindouf camps in Algeria. The 4th Committee of the 66th Session of the General Assembly adopted a draft resolution on the Sahara issue (A/C.4/66/L.5), without vote, welcoming the ongoing process of negotiations and encouraging a mutually acceptable political solution to the dispute. The resolution also calls upon the parties and the states of the region to cooperate fully with the Secretary General and his personal Envoy to find a political solution to the regional dispute over the Moroccan Sahara. The parties held under the auspices of UNHCR and in the presence of the Personal Envoy, the second review meeting on implementation of confidence-building measures in Geneva on 24 and 25 January in 2012. During the 9th round of informal talks held in Manhasset from March 11 to 13, 2012, Morocco reiterated its strong commitment to contribute effectively to an innovative solution that goes beyond the classical methods to end the current deadlock on the Sahara issue, expressing its regret that the other parties are sticking to their position, especially regarding the identification and the registration of the Tindouf camps population. The Security Council resolution 2044 (2012) unanimously adopted April 24, 2012, consolidated the parameters set by the Council to reach a final political solution to the regional dispute over the Sahara. It has reinforced the process of negotiations as single-track dispute resolution and enhanced innovative approaches. · The acts, statements and initiatives of the Personal Envoy and his unbalanced and partial course of action which are contrary to the mission he is entrusted with by the UN SG, in his nomination letter in January 2009, and in violation of the parameters defined by the United Nations Security Council. Morocco shared this assessment with the UN SG and requested him to take the necessary measures in this regard. The UN SG appointed Mr. Wolfgang Weisbrod-Weber (Germany) as the new Special and head of the MINURSO in replacement of Mr. Hany Abdel-Aziz whose term ended in April 2012. A telephone conversation between His Majesty King Mohammed VI, May God Assist Him, and Mr. Ban Ki Moon, the Secretary General of the United Nations, to insist on the necessity to realize a progress in the settlement process on solid and sound basis, to abide by the clear parameters contained in the UN Security Council resolutions, in particular, realism and compromise spirit and the recognition of the serious and credible nature of the efforts made by Morocco in the framework of the autonomy initiative. Morocco took part, in Geneva, to the 3rd meeting of the CBMs evaluation program conducted by the UNHCR between the populations of the provinces of the south and their families in Tindouf camps in Algeria, with the participation of delegations from Algeria, Mauritania and polisario. Visit of the Personal Envoy of the UN Secretary General for the Moroccan Sahara, Christopher Ross, to Morocco. This visit is part of the efforts being made to relaunch the political process with a view to finding out a political, definitive and consensual solution to the regional dispute over the Moroccan Sahara. The Personal Envoy of the UN Secretary General for the Moroccan Sahara presented to the Security Council his report which came in conformity with SC resolution 2044 (2012). The report followed the phone conversation, between His Majesty the King and the UN Secretary General, and the regional visit of M. Ross, which covered Morocco (Rabat and southern provinces), Algeria (Algiers and Tindouf camps), Mauritania, Spain and France. Visit of the Personal Envoy of the UN Secretary General for the Moroccan Sahara, Christopher Ross, to the Groups of Friends of the Sahara, namely the United States, Russia, Spain, France and the United Kingdom. He will also visit Berlin and Berne. Barbados freezes its recognition of the “sadr”. Saint Vincent and the Grenadines freezes its recognition of the “sadr”. The UNSG’s Personal Envoy for the Sahara visits the Kingdom of Morocco. His Majesty the King Mohamed VI receives Christopher Ross. The Security Council resolution 2099 unanimously adopted on April 25, 2013, consolidated, once more, the preeminence of the Moroccan autonomy initiative, and fixed the parameters to reach a final political solution based on realism and a spirit of compromise. Similarly, the Security Council reaffirmed via this resolution the MINURSO’s mandate and activities. The Security Council reiterated his appeal to the United Nations High Commissioner for Refugees to proceed to the identification of the populations of the Tindouf camps, in consultation with Algeria, the host country, according to the 1951 convention on refugees.